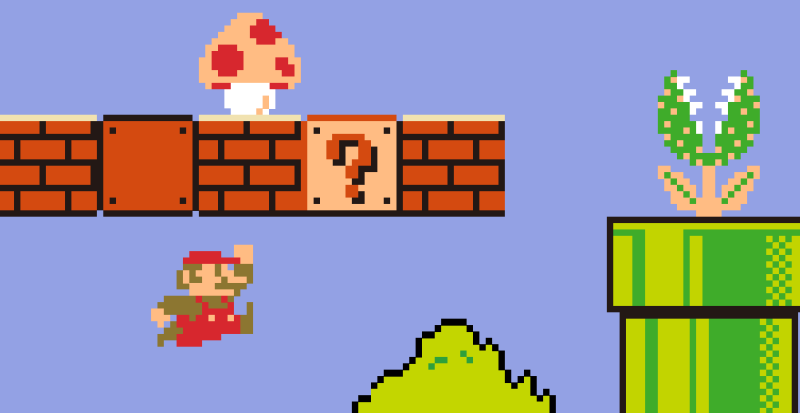 I invite you to feast your eyes on an expert playthrough of the original Super Mario Bros. 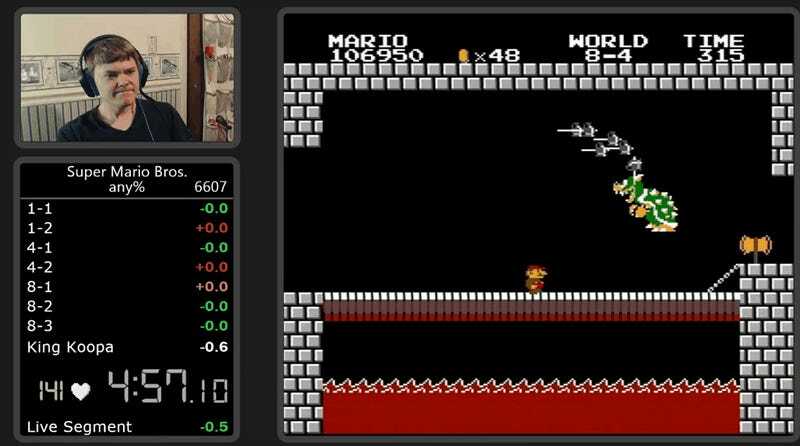 Somehow, a speedrunner known as Darbian manages to blaze through the old-school classic in whopping 4:57.627. To put this into context: the last world record for the “any percentage” clearance of Super Mario Bros. was 4:57.69. That was in 2014. It’s taken an entire year for another player to shave off a teensy bit of time in this speedrun category, which is wild. You can watch the new world record playthrough in the video below. Note the rich colors—this puppy was recorded on an actual NES! In the Twitch upload, you can view Darbian’s reaction to this run in real-time—and that includes a heart-rate monitor that shows just how tense things can get during a speedrun! Obviously, the run makes optimal use of glitches possible in Super Mario Bros.—for example, there’s a moment in 8-2 here where the darbian uses a Bullet Bill to speed up the animations that occur at the end of the level. You can read more about that, and other common strategies used in Super Mario Bros. speedruns here. 1) The biggest remaining time save is to add in the faster method of doing level 4-2. This method of doing 4-2 saves 21 frames (0.35s), but is extremely difficult. andrewg is the best person at getting this. There is no other time save that a human has ever done (even in practice) prior to 8-4. 2) In 8-4, my notable mistakes include scrolling the screen a pixel too far in the “turnaround” room. I also had poor movement here, as ideally you’ll go down the pipe to the water with a 357 on the in game timer. 3) The exit to the water section was bad. Ideally you want to swim into the pipe, or at least touch the ground closer to the pipe than I did. Mario loses speed when walking on the ground in water. Blubbler discovered that the rate at which Mario loses his speed on the ground in water is lower if you do NOT press right. I used this advice, and it’s likely that this is the reason this run turned out to be the record. In short: theoretically, there are more records to be had! You can check out the full leaderboard for Super Mario Bros. speedruns on Speedrun.com, or check out our special video feature on speedrunners here.